We have beautiful puppies available!! We have amazing puppies available! 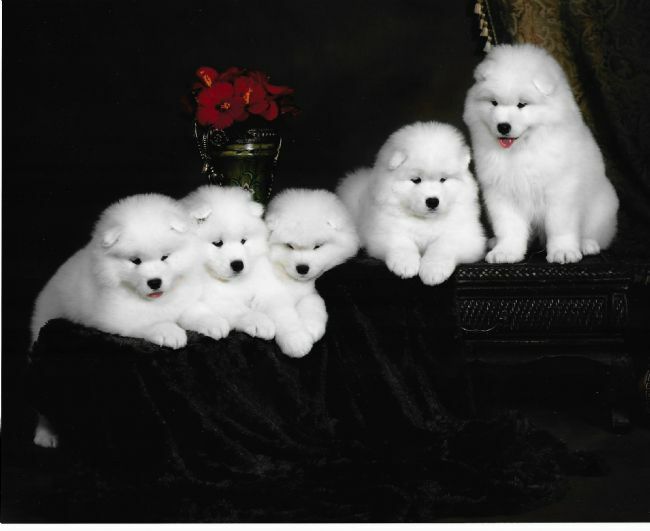 Please fill out our puppy application if you are interested in owning your own White Magic Samoyed Baby!! We respond to ALL applications with in 24 hours of receipt. If you do not receive an email reply then we did not receive your application!! The puppy application does NOT work on smart devices for example on iPhones or iPads, please fill out the application from a desktop or laptop computer Thank You!